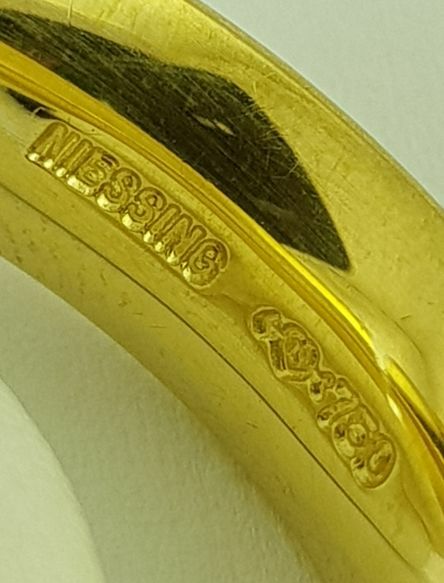 NIESSING clamping ring-75050 Gold-1 diamond, 0.23 ct.
On offer is a beautiful ladies' ring from the top jewellery brand NIESSING, consisting of yellow gold and a set or clamped brilliant. 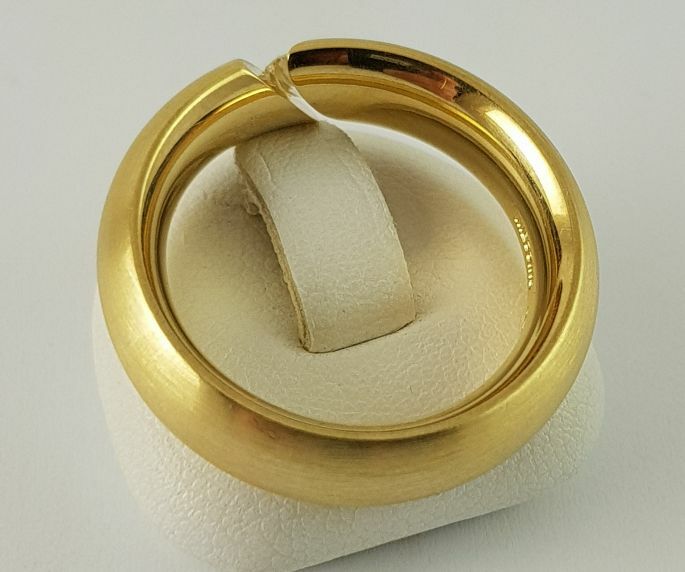 This ring is a so-called "tension ring". 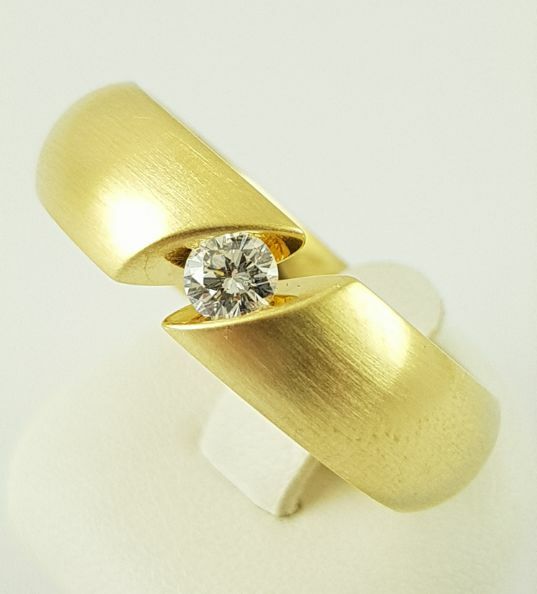 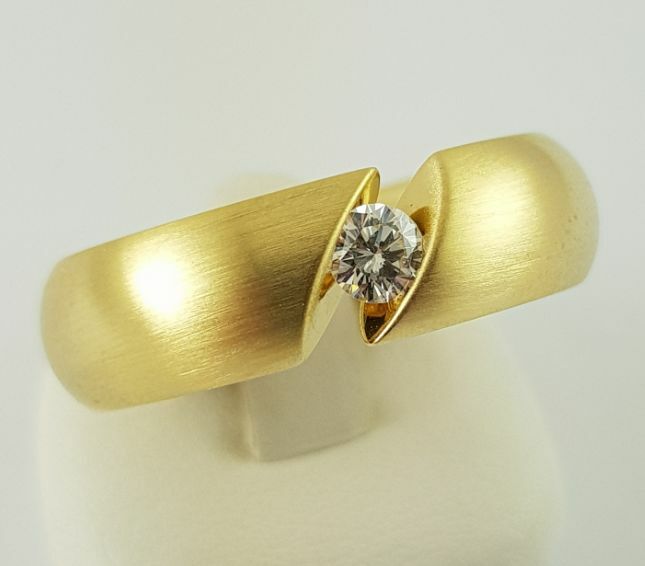 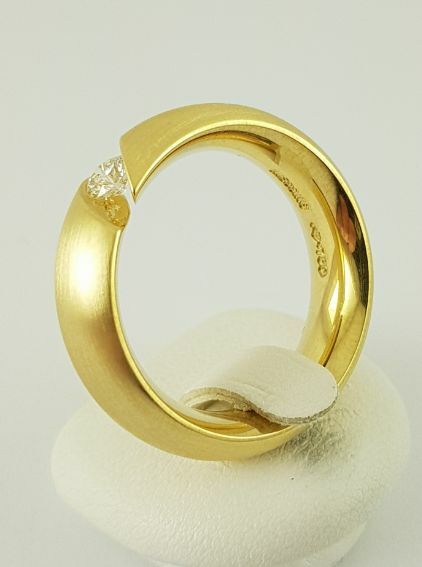 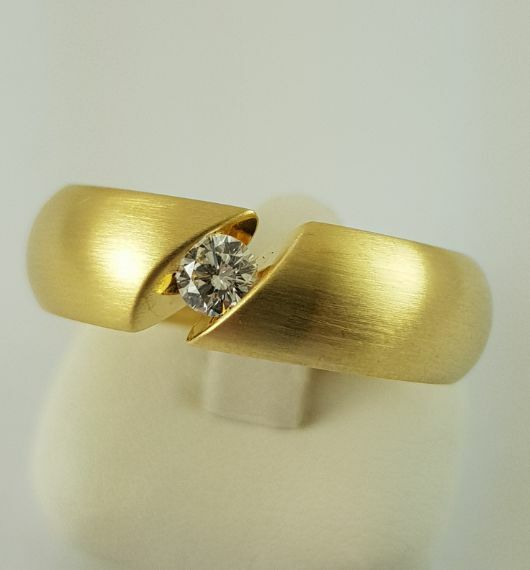 The ring impresses with the combination of 750 gold and the extremely high-quality diamond, see pictures.